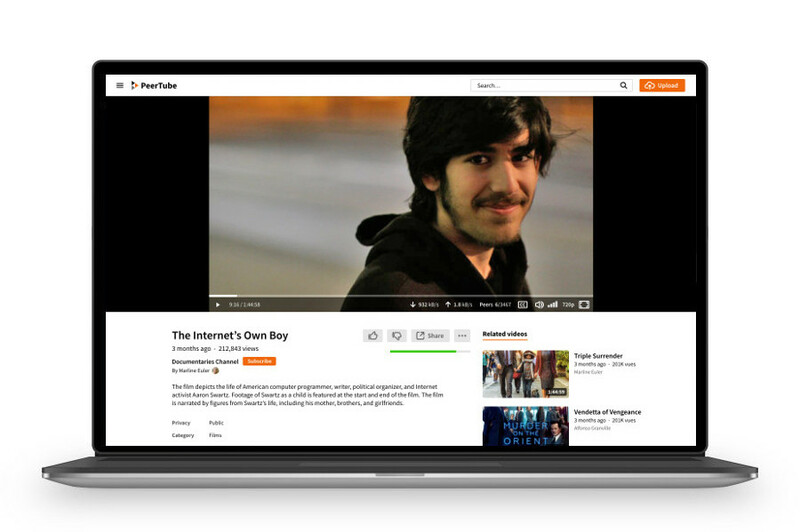 PeerTube is an open source project that seeks to offer an alternative to the video services on the web that we currently have. It is a decentralized streaming video platform that uses P2P. The idea started in 2015 and they have just released one of their first demosin which you can see how videos work on a sample server. What makes PeerTube work is the technology of tools like WebTorrent, which lets you do P2P downloads directly in the browser. When we think about watching or uploading videos to the web, the first thing that comes to mind most of the users is YouTube, maybe other sites like Vimeo, and some social networks like Twitter, Facebook or Instagram. All services belonging to huge technology companies with the ability to maintain thousands of servers around the world to deal with traffic. The bandwidth that video streaming consumes is too much for a single individual, or a group of enthusiasts, to compete with something like YouTube. Unless you do it without using centralized software , and instead use technologies like the P2P that we use when downloading torrents. The P2P protocol limits the load to the server when sharing it among multiple users , so that if a video becomes very famous, it does not overload the server. With PeerTube anyone can mount their own server with videos and distribute the bandwidth between users, as well as when we seeding a torrent. PeerTube is to YouTube what alternatives like Diaspora would be to Facebook or Mastodon to Twitter. PeerTube is not going to revolutionize the world from one day to the next, nor will it dethrone YouTube or cause a great exodus. At least not soon, or maybe never. However, it could work as an alternative for many users and is another sign that there is the possibility of creating decentralized platforms that do not depend on corporations in which it is increasingly impossible to trust. The project is in very early stages of development and is promoted by the non-profit organization Framasoft . If you want to support the project you can make a donation or if you are a developer you can always contribute with your help.